United States Forces Afghanistan Commander General Joseph Dunford has expressed his reservations to United States lawmakers about the overall effectiveness of army operations in North Waziristan Agency (NWA). “They have had some success against the Pakistani Taliban and the IMU (Islamic Movement of Uzbekistan) in NWA from the best that we can tell, but they certainly have not had the effect against the Haqqani Network and others that we would want to have seen,” said the general, adding that the army operations had certainly had a disruptive effect on the Haqqani Network in essence that they have all been forced to move out of their sanctuary in Miranshah area. Dunford stressed the need for strong relations with Pakistan as US dependence on the crucial line of communication passing through Pakistan decreases post 2014. He said this could give the US an opportunity to reframe relationship with Islamabad. Speaking at a confirmation hearing by the US Senate Armed Services Committee, Dunford agreed with US Senator John McCain that as long as the Taliban have a sanctuary in Pakistan, the situation will remain complex and dangerous. “The resiliency of the Taliban movement is driven by their sanctuary in Pakistan,” he said. 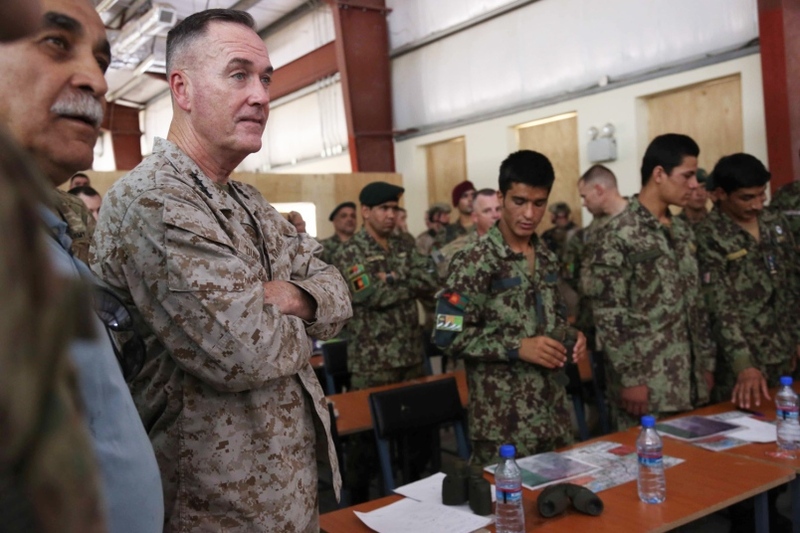 Responding to questions, Dunford said the Taliban and other terrorist outfits are determined to carry out 9/11 type of attacks. “From what we see on a day-to-day-basis and from the intelligence, that there are individuals in both Afghanistan and Pakistan who are determined to attack the homeland? They’re determined to replicate acts like 9/11. And the pressure that we have placed on those networks over the past decade is the reason they haven’t been able to execute a 9/11,” he said. According to the US general, the Pakistani army recognises that extremism is an existential threat to the state of Pakistan. “I think they are determined to do something about that threat, he said, adding that he believes Pakistan’s focus on the most pressing threats to the state reflect its inability to deal more broadly with extremism such as threats inside Afghanistan. “This is one of the reasons I think it’s important for us to develop an effective relationship between Afghanistan and Pakistan and I think the US can play a unique role in facilitating that relationship, because the way we will get after this problem is by having a common definition of extremism in the region and then having an agreed-upon framework within which both Afghanistan and Pakistan can deal with the threat of extremism as well as the very real political and economic challenges that exist between the two states,” he said.